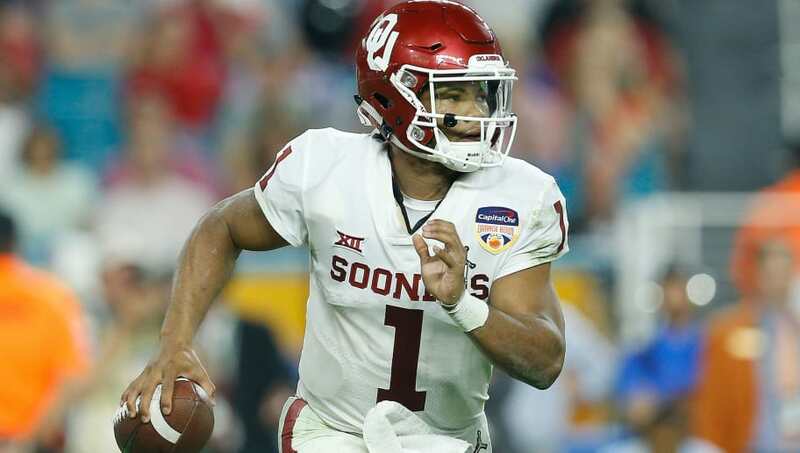 Coming into the 2018-2019 college football season, it was almost set in stone that ​Kyler Murray would be playing baseball after being drafted in the first round by the Oakland Athletics. As we know, he has decided to enter the NFL Draft after a monster season to see how things play out, but ​has yet to commit to either sport. However, as the MLB awaits Murray's decision, the league is contemplating bringing back the major league contract as an inducement for two-sport athletes to stick with baseball. As things currently stand, all draft contracts are minor-league deals for two-sport athletes. It's important to note that the the minor-league deals are subject to a draft pool that penalizes teams that exceed it​​ and the A’s had a total spending pool of $9,553,200 for 2018. Kyler's name is written all over this new potential rule as he would likely demand close to $10 million if he does choose baseball. This would be taking special treatment to an entirely new level, but the ​MLB must think very highly of Murray and obviously wants him in baseball. Either that, or the league doesn't want any issues with a top draft pick skipping out to play another sport.